NHL News : Rumor: Surprise scratch in Montreal believed to be trade related. Rumor: Surprise scratch in Montreal believed to be trade related. Another trade from the Canadiens on the way. The Montreal Canadiens have been one of the surprises of the 2018 - 2019 National Hockey League regular season, surpassing the expectations both fans and pundits had of the team after a catastrophic campaign during the 2017 - 2018 NHL regular season. Due to their success however it has been difficult to gauge how the Canadiens will approach the NHL's trade deadline at the end of February and many have been left pondering whether the Habs will be buyers or sellers at the deadline. Well on Saturday we got our first taste of action from Habs general manager Marc Bergevin after he executed a four player trade deal with the Philadelphia Flyers. Although the deal itself was a relatively minor one it has to be considered a public relations win for Bergevin as he brought home fan favorite Dale Weise in the trade that cost the Habs very little in the grand scheme of things. The Habs are probably not done wheeling and dealing and ahead of the trade deadline however is there is now an indication that a curious move earlier this evening may have been the result of something behind the scenes. The Canadiens welcomed the Toronto Maple Leafs to the Bell Center on Saturday night and shortly before the game was set to begin the Canadiens announced a surprising last minute change to their roster. 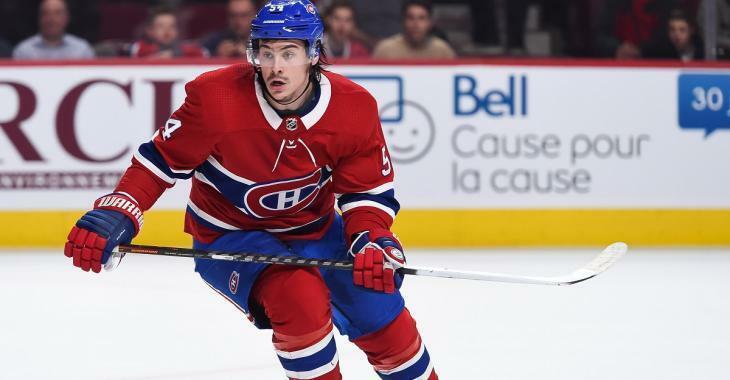 The Habs made the move to make 24 year old Charles Hudon a healthy scratch ahead of the game and although on the surface the move itself means nothing, one NHL insider has indicated that there was more than meets the eye to this scratch. Sportsnet's NHL insider Elliotte Friedman revealed during a segment on Hockey Night in Canada this evening that the Canadiens were now looking to make room for the newly acquired Dale Weise, a player that was sent directly to Laval where he joined the Habs American Hockey League affiliate the Laval Rocket. It appears that Hudon may be the odd man out in this mix and that, additionally, he could very well be moved out of Montreal entire with the Habs seeking a mid round pick in exchange for his services according to Friedman. No word on which teams may have interest in Hudon at this time. In 30 games for the Habs this season Hudon has 3 goals and 2 assists for a total of 5 points and a plus minus rating of -9.